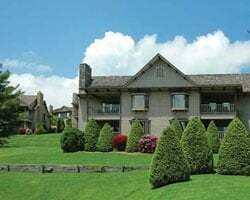 In scenic North Carolina, *Chetola Resort at Blowing Rock* sits comfortably in the Blue Ridge Mountains and offers a quiet respite near plenty of attractions. Seasonally, guests may fish and paddle-boat at the resort, as well as play tennis or hike on 26 miles of trails. No matter what the time of year, guests will always be able to enjoy the indoor recreation center with a pool, whirlpool, sauna, racquetball courts and exercise area - not to mention the gourmet restaurant is always a great dining option! Don't miss the chance to ride a hot air balloon or experience some of the other area attractions. For more information, visit www.chetola.com. Enjoy zip lining, to horseback riding & more! Buyer May Receive A Title Fee Credit, Inquire For Details! Ideal location to enjoy the outdoors! Buyer May Receive A Title Fee Credit, Inquire For Details! 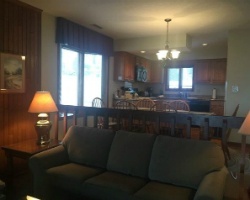 Beautiful 2BR/2BA end unit condo available during peak ski season! Only 4 miles to Appalachian Ski Mountain! Red Week status! Great resort to enjoy the many outdoor activities in the area! Annual week 31 usage! Inquire for details! Perfect option to outdoor lovers! Many nature activities for all ages! Buyer may receive a title fee credit, inquire for details!